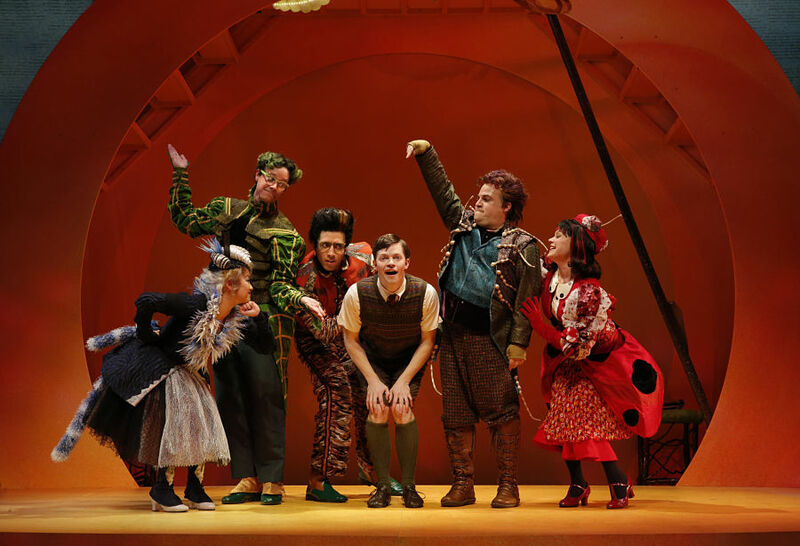 Join the Florida State University School of Theatre as they debut a production of a children’s classic at the Richard G. Fallon Theatre, November 20 – 23, 2014. James is a lonely orphan who dreams of life elsewhere. When he stumbles upon some magic, a giant peach begins growing in the front yard of his home. Join James and his new family of magically overgrown insects as they travel aboard a peach as large as a house across the Atlantic Ocean, through shark-infested waters and inhabited skies, to New York City. Based on the beloved book by award-winning author, Roald Dahl, James and the Giant Peach reminds us that just a little magic can take us a long way! He changed the face of children’s literature completely. Dahl’s technique was to scare kids right at first, and eliminate the parents, so now it’s them and the storyteller—then you can go anywhere. To continue reading about Roald Dahl and current productions, visit American Theatre Publication Group.